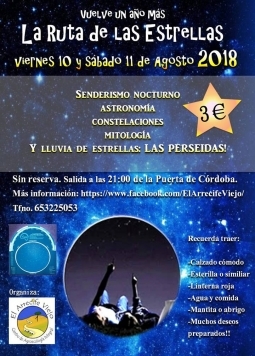 - LLUVIA DE ESTRELLAS: LAS PERSEIDAS. * MÁS INFORMACIÓN EN www.facebook.com/ElArrecifeViejo/ TLFNO. 653 22 50 53.